There are only many major retailers, such as Wal-Mart, Target, Home Depot, Lowes, and Amazon. The rest of the retail landscape is made up of thousands of smaller companies competing in niche markets that are focused by product or geography. The big names have distinct advantages in purchasing, distribution, and marketing, but smaller companies can also compete against these large retailers by selling unique merchandise, serving a local market, or providing exceptional customer service. When you use technology to operate more efficiently than your larger competitors, you can offer the kind of customer service that draws shoppers away from the behemoths. 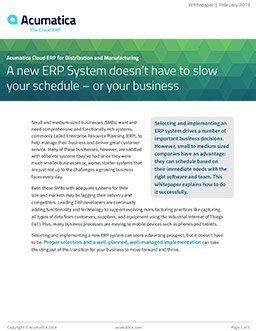 To do this, you need an ERP system that works just as hard as you do—an ERP system that helps you deliver the right product to the customer as quickly as possible. With the retail industry dominated by the major providers, how do small companies with limited resources succeed? It’s a matter of knowing your strengths, understanding your customers, and leveraging all your technology tools to deliver the products and customer service that shoppers want. Your profitability will depend largely on efficient supply chain management, which is one of the big advantages that major retailers depend on for their success. Of course, you can also gain an advantage in areas such as effective marketing and good merchandising. Follow through with allocation, picking, packing and shipping. Run efficient supply chain practices such as inventory and warehouse management, transportation management, distribution, and inventory optimization. Use business intelligence (BI) and analytics to identify issues and challenges early, resolve situations before they impact customer service, and direct performance improvement efforts that help you maintain your competitive edge. Acumatica ERP for retail companies provides the functionality you need to manage inventory, purchasing, manufacturing, customer orders and CRM, and accounting. Acumatica also offers leading-edge Business Intelligence based on Microsoft Power BI. All of this functionality is fully integrated to give you access to real-time information across your entire enterprise. Depending on the nature of the transaction, Acumatica allows sales representatives to select from multiple fulfillment types, including carryout, pick-up, ship, install, and online fulfillment. You can determine fulfillment types at the line level, which is ideal for environments in which an initial carry out sale is followed by a delivery or shipment. For example, Acumatica integrated with FusionPOS™ creates a sales order for each transaction (Accounting Customers) or roll-up transaction (Cash or Marketing Customers). Payments are applied to the open sales order. 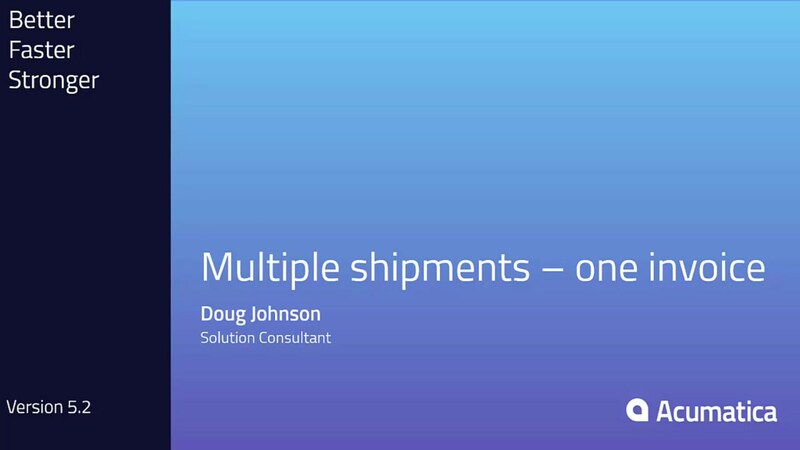 Fusion then matches the Fulfillment Type with your accounting system’s Ship Method, allowing items flagged for future shipment to remain as an open sales order. For items otherwise flagged, Fusion can auto post the shipment or invoice depending on client preferences. "The fact that Acumatica offers an unlimited user license was important to us a company that’s looking to grow because it allows us to expand without having to contact the vendor and renegotiate for new users. We can just keep the business moving."